"It''s going really well. Because the game is huge it's a lot of hard work, but when the weather gets a little warmer, we should be able to show more of it." 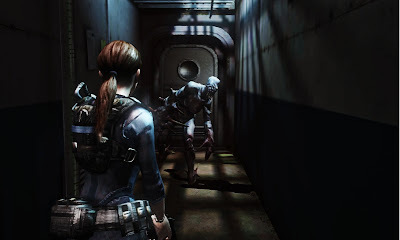 "Unlike Mercenaries, which is all about shooting action, Revelations is all about survival horror, the very genre Resident Evil established. We actually think of Revelations as a direct sequel to Resident Evil 5 and it will be full of new, innovative ideas and characters." "Should the Mercenaries establish itself as a franchise as we hope, we'll be looking into expanding the game through DLC, though of course we'd have to consult Nintendo regarding the specifics."